I’m not sure how I managed to get to 39 years old without having made a Christmas cake, but I have. 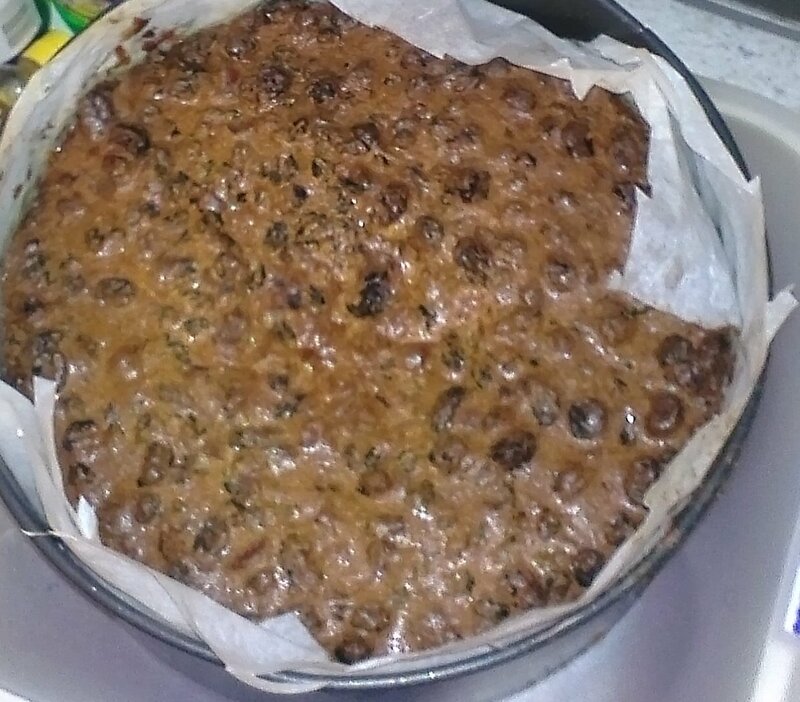 How I managed it in my family, where everyone seems to know how to make a great Christmas cake, is anyone’s guess. But here we are. And this is the year I decided to do something about it. I think the whole gluten free thing has a lot to do with my lack of Christmas cake expertise. That and the fact that I have never actually liked it, but at some point in the last few years I have started liking fruit cakes and Christmas pudding. A bit of research quickly showed that gluten free fruit cakes are notorious for having all the fruit sink to the bottom amongst other things, so I didn’t dare do my usual thing of just adapting a nice normal recipe. I cook a lot. I do it confidently. Cakes hold no fear for me. So why, when it comes to this one, have I been so nervous? With it finally mixed and in the tin, it went in the oven. And then, when 90 minutes before it should have been done it seemed to be cooked, I took to Facebook to seek advice. Thank goodness for cousins who know what they’re doing when it comes to making a good cake. Anyway, it’s cooked. I’m exhausted. And look forward to feeding it over the next couple of weeks before I tackle the next hurdle of decorating it.